"Spacious Accomodation at Trafalgar and QEW"
This freshly painted one bedroom apartment is conveniently located near the corner of Trafalgar Road and the queen Elizabeth Way in Oakville. 350 Lynnwood Road and 1230 White Oaks Boulevard offer spacious accommodation within 30 minutes commuting distance to downtown Toronto. A variety of nearby schools, parks, shopping facilities and transportation services make this an ideal area for wholesome family living. In addition to the on site variety store, the Oakville Place Mall is within walking distance. These bright, airy and well-maintained units are available in one, two and three-bedroom floorplans. 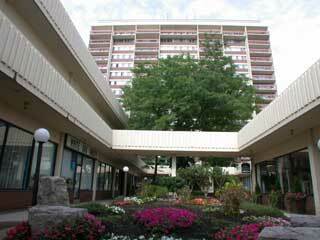 Amenities include parquet wood floors, balconies, laundry facilities, surface & underground parking. Walking distance to schools, easy access to Trafalgar Road, QEW and 403, GO TRANSIT station at Trafalgar Road just south of QEW. Variety store and hair salon on site. Call us today at 905.884.2646 to book your showing!